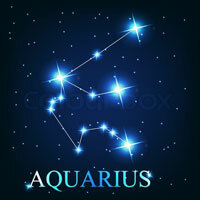 Any man born from January 20 to February 18 will come under the eleventh Zodiac sign, Aquarius. It is said that, Aquarius men are a creative combination of intelligence, independence, and stubbornness. Standing out as a progressive-yet-original character, the Aquarius men usually concern themselves with the growing interest in the challenging-yet-loyal relationship. From love to friendship, they are likely to add some “ingredients” like surprise, pleasure, and challenges into the bond. In the exterior, they look cool, distant, and even aloof at the start of the relationship. However, inside an Aquarius man’s heart, he is thirsty for the long-term, durable, and loyal give-and-take. Is the one you love an Aquarian? To form a healthy and stable relationship with him, bear in mind three keywords of his personality: loyalty, trust, and fun. You may surprise when we concur that an Aquarius man is born with a loyal heart. In fact, to win his heart, it will take much time to form an intimate friendship with him. Once an Aquarian profoundly feels a mutual respect and sharing from his “interest”, it means that they are ready to settle down. To melt this “ice block”, we need some components like humanity, independence, and freedom. As he has a loyal man, it is needless to worry when he is out on his own. Let him enjoy his own freedom and privacy as you’ve already had a place in his heart! It is worth pointing out that some Pisces and Cancer women make the Aquarius men feel choked because of their excessive sensitivity as well as emotional commitment. Therefore, the ideal signs that the Water Bearer can form an everlasting relationship include Gemini, Libra, Aries, and Sagittarius. Apparently, this airy sign can only get along well with the other Air signs and Fire signs. How about Water signs and Earth signs? As you know, both water and earth can’t hold the air for a period. Otherwise, the air itself doesn’t like to be kept “in a vacuum”. Of course, the three Air signs can fly together in all journeys and have fun. Along with that, only the Aquarius can boost the Fire’s “confidence”. Taking the Water Bearer as the destined symbol, an Aquarius man is able to put the past love behind him quicker than any other man. Thus, he can love with the whole heart while being as a “social butterfly” on a regular basis. Giving him space and respecting his privacy are the foremost advice! As already mentioned, you can be the loveliest girl in the world, but if you don’t have place in his heart, he doesn’t care. An Aquarian will never be involved in the face value or material attraction. He needs the one who can stimulate and join in his adventurous journey, not just someone to sit on an armchair and watch a movie all the time. No matter how much he loves you, he is not likely to change for you. Otherwise, he needs a woman who is able to adapt to him. Besides, respect and understanding are very significant. Due to being intelligent, he finds it quite awkward and frustrated when others disregard his points of view or suggestions. Aquarian man in love demands respect and also behaves in the respectful manner. In that sense, he highly appreciates other individuals’ different opinions and concepts of life. Never force others to agree with him, an Aquarius man will turn to be extremely stubborn and aloof in case of being forced to do anything. Any sign of disrespect or personal violation will make him run away in the opposite direction. How To Know Aquarius Man Likes You? Get the signs HERE! 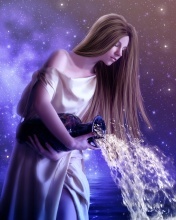 For further interesting information around the article “Aquarius Man Personality – The Strong Water Bearer”, please don’t be hesitant to have your queries filled in the box here.